Rum Runner cocktails remind me of our trip to Key West when I was younger and all the fun we had that summer! 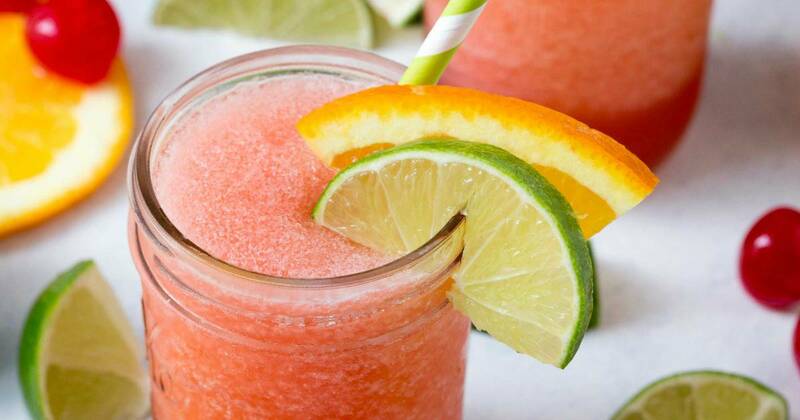 It’s an easy drink to make for entertaining too! When I was in high school we took our family vacation down to Key West with our extended family, Stan and Tracy. My dad grew up with my Uncle Stan. They’ve been friends since they were five and my dad moved from New Jersey down to the Florida. We always had so much fun hanging out with him and his wife, Aunt Tracy. She was the fun aunt that would tell us the jokes that my parents wouldn’t tell us, nothing that crossed any lines and wasn’t all that bad but we felt cool for being in her club! When I was little she always wore purple nail polish, she had a room full of unicorn stuff and she gave me my first sip of a Rum Runner! She was the super cool aunt! When I was 16 we went down to Key West with them for a week. Key West is a really fun spot but let’s be honest, it’s way more fun if you’re over 21! We had a lot to do and had a great time, but it seemed like every other building on Duval street was a bar. We HAD to go to Sloppy Joe’s while we were there. It’s the bar that Hemingway used to hang out at when he was in town. Now it has more of a family atmosphere during the day and you can sit and have lunch. All the adults in our group ordered Rum Runners to sip on as they walked down the street to keep cool. It looked so amazing, a red blended drink that would’ve been so refreshing in the heat of the day as we walked Duval Street. When we made our way down the street my aunt must have seen me staring at their drinks because she came to the back of the pack where I was and let me have a sip of hers! It was AMAZING and it really hit the spot! She only gave me that one sip but I’ve remembered for the last 20 years. 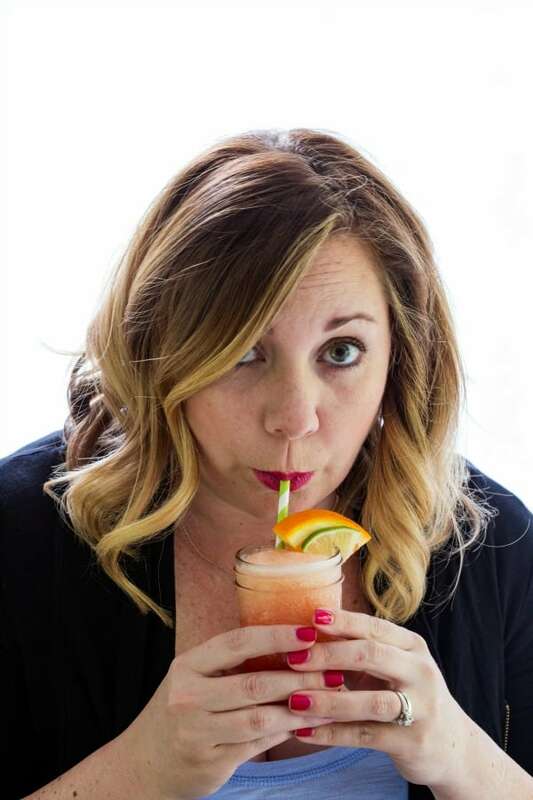 Rum Runner cocktails are the ultimate summer drink for me now! 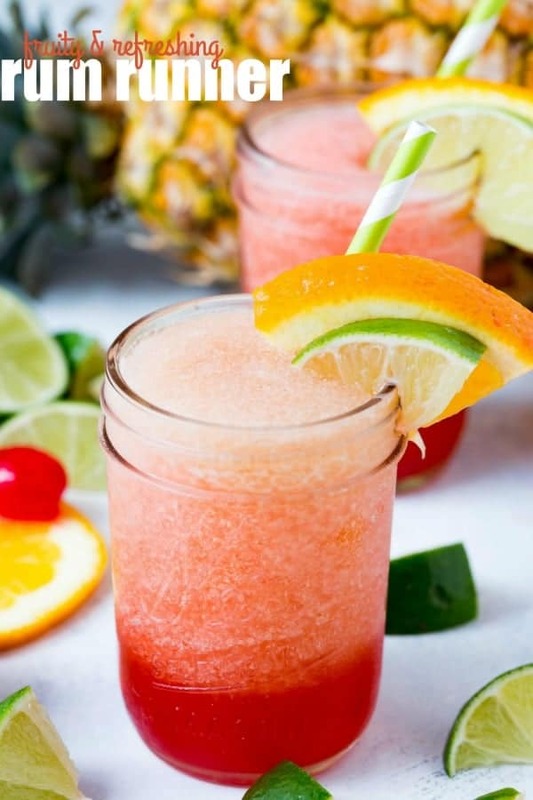 I love rum and tequila cocktails in the summer! They both make me think of fun summer trips by the water. 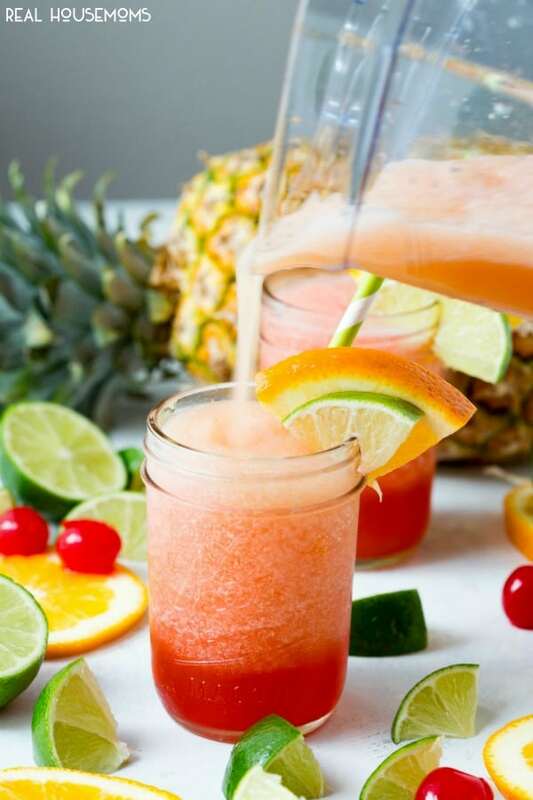 A rum runner is so easy to make and it’s really easy to make a big batch if you’re entertaining. A Rum Runner is great on the rocks or blended but I prefer blended. When you make this for a party you have two options. You can make it that day and blend it all up, pour into a mason jar and put the lid back on. Make sure to store it in the freezer and just give it a shake when you serve it up! The other option for serving would be to mix up the drink but wait to blend it until you’re ready to serve it up! I like both options! This weekend I’m making up a batch and sipping in the backyard with my husband while I dream of warm beaches! Make up a batch and let me know what you think! Better yet snap a picture on Instagram with the hashtag #RHFood or snap my on Snapchat. I’m @realhousemoms! Rum Runner cocktails remind me of our trip to Key West when I was younger and all the fun we had that summer! 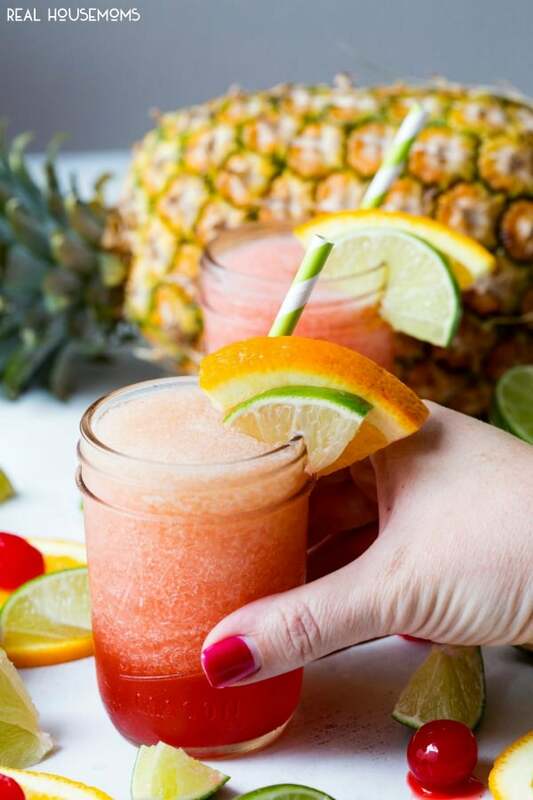 It's an easy drink to make for entertaining too! *When entertaining I mix up a batch and pour into mason jars, then replace the lid. What are you using for the blackberry liqueur? If it is not blackberry brandy, can you suggest the brand name?